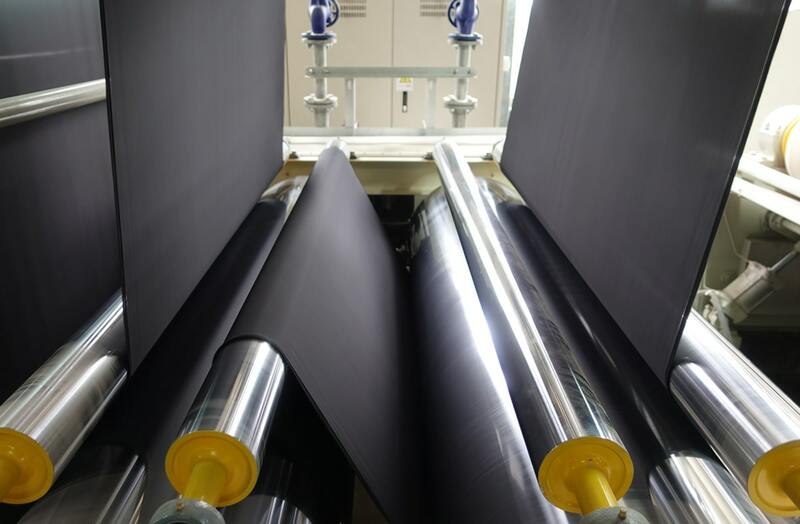 Due to the single-side functional process requirement of fabric, use chemicals or pigments on the fabric surface with coating method is able to achieve the functions of waterproof, cracking-yarn resistance, fireproof, waterproof breathable, and flame retardant. According to different functional requirements, the amount of chemical coating is also various. The design of a coating machine depends on the coating amount and chemical features. 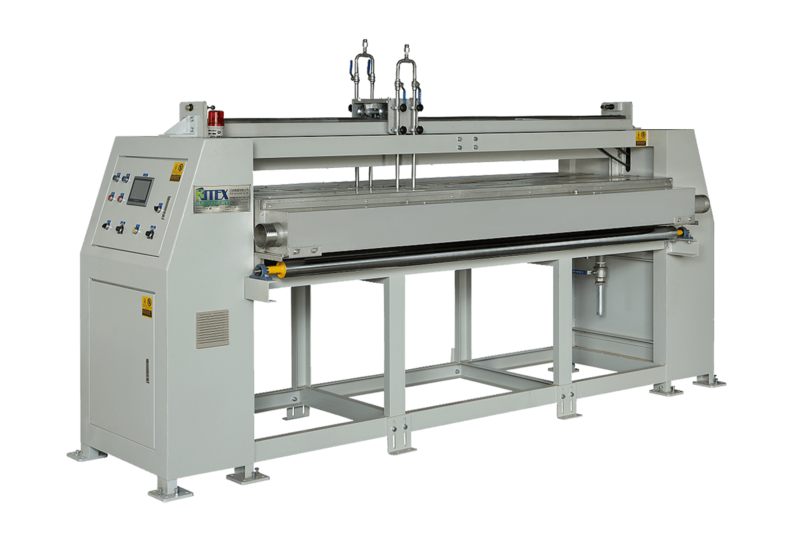 RITEX combined the design of coating knife, rod and equivalent flux, then came out with RCK multi-functional coating machine which can supply both for foaming and average gluing. For RCK multi-functional coating machine, the range of chemical usage includes two categories of oil and water, such as PU adhesive, acrylic resins, pigments, rubber, PVC plastic, colored plastic, and waterproof glue, etc. Meanwhile, we also aimed on reducing the moisture content and lower the penetration of water-based chemical by air-mixed foam coating to achieve the single-side process requirement. 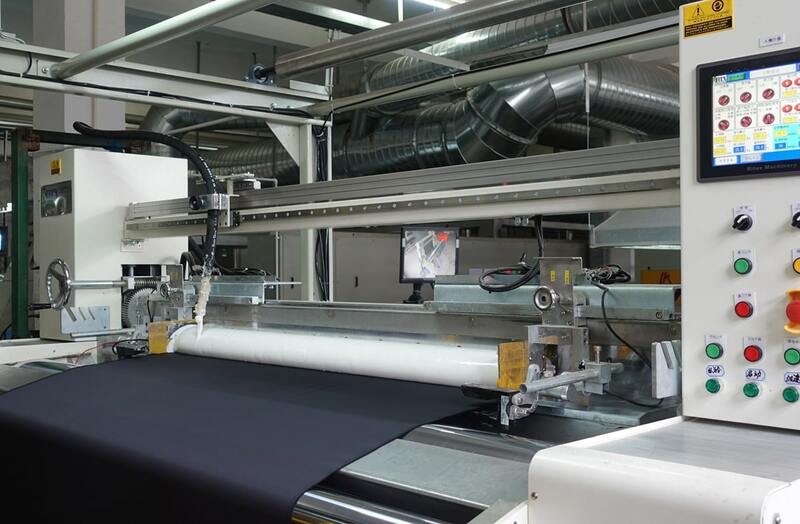 The best advantage of foam coating is energy saving (low moisture content) and softer fabric (no need thickeners), which should be the first choice for the future process of environmental friendly and energy saving. 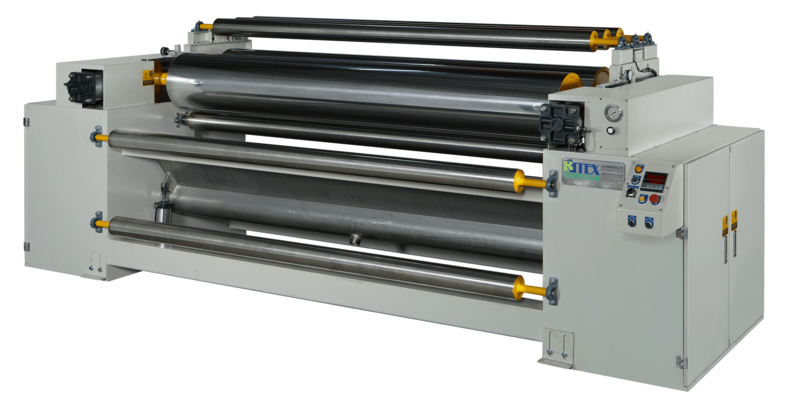 Coating equipment contains float knife, upper roller, and special arc equivalent coating. Disassembled blade holder can be changed depending on coating amount and functional requirement. The position of coating equipment can be adjusted forward, backward, up, and down to control the coating amount. Adopt PLC+HMI control and recording system, can record the operating conditions of coating machine, such as position, gap, tension and other operation mode to easily control the coating condition. Fabric infeed process adopts high precision load cell, which can synchronously drive with machine main speed. 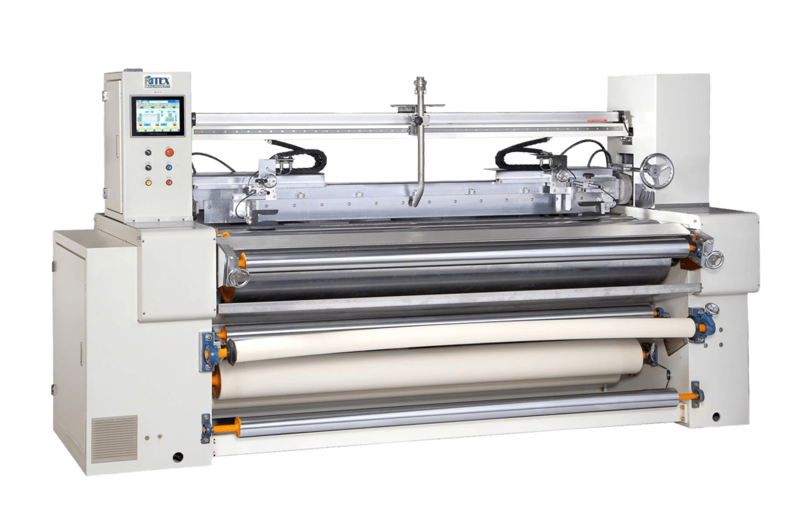 Can combine with stenter or gluing machine to increase the machine function and improve adding value. Control coating amount by roll gap and tension. Reciprocating feeding to ensure even coating. Max. gap range is 20mm. Nozzle spays the chemical on the fabric surface, spraying amount controlled by chemical concentration, pressure, and nozzle type. Max. spraying pressure is 12 kg/cm2. Max. transverse moving speed is 120 M/min. Program with calculation function to shorten production time. Transverse moving frequency setup for even spraying.